Well logging records the events, subsurface formations, and depth measurements of geologic formations during drilling. Each well log is a detailed record which can include visual observations (geological logs) or physical measurements made through instruments (geophysical logs) penetrated through a borehole. Some types of geophysical logs can be recorded during any phase of an oil well’s life, namely drilling, completion, production, and abandonment. The concept is borrowed from ship logging in which events aboard a vessel are recorded. But instead of plotting a timeline, well logging is recorded through depth. In the early 19th century, well loggers scaled oilfield derricks and kept a simple chronicle of events that happened at certain depths, which include problems, types of formations encountered, drilling speed, and oil and gas flows. A graph and corresponding notes represent drilling records and well depths. Logging tools are inserted into the well to measure the electrical, acoustic, radioactive, and electromagnetic properties of subsurface formations. To collect data, logging tools are incorporated into the drilling tool or drilling tools are lowered into the wells at regular intervals. Drillers and engineers use well logs to measure formation thickness, formation tops, porosity, water saturation, temperature, types of formations encountered, presence of oil and gas, estimated permeability, reservoir pressures, and formation dips. 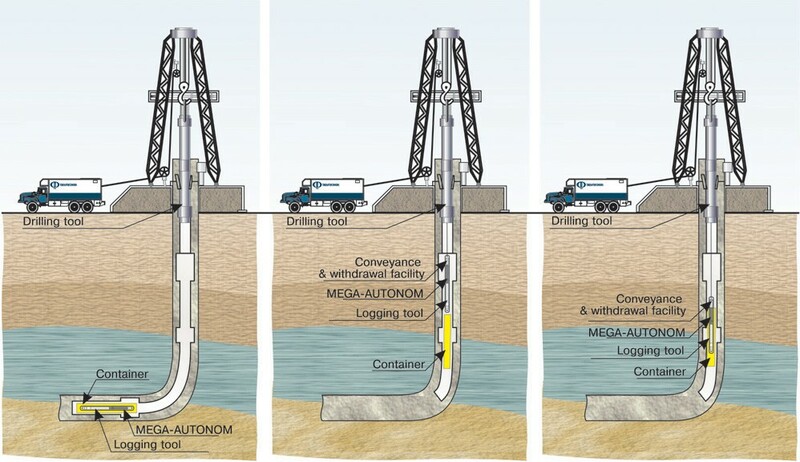 Well logging does not only record wellbore events, but also ultimately predicts whether a well is commercially viable or not, and whether casing, cementing, and completion should be run on a well. A well log includes a header that provides specific information about the well like the operating company and the type of log, as well as the main log section and the graph. The vertical part of the chart represents the depth reached, while the horizontal part represents the measurement scale. Each major section of the log contains inserts which identifies each curve. Curves on the logs – called traces, readings, or measurements, can be represented by solid, long-dashed, short-dashed, or dotted lines to represent different measurements used on the log. To ensure accuracy, the final part of the log includes the tool calibrations used before and after the log was conducted. Helmenstine, Anne Marie. “What Is Electrical Resistivity?” Electrical Resistivity Definition. About Education, 11 June 2014. Web. 19 Dec. 2014. <http://chemistry.about.com/od/chemistryglossary/g/Electrical-Resistivity-Definition.htm>. “How Does Well Logging Work?” How Does Well Logging Work? Rigzone, 1 Jan. 1999. Web. 19 Dec. 2014. <https://www.rigzone.com/training/insight.asp?insight_id=298&c_id=1>. “Oil and Gas Well Drilling and Servicing ETool.” Oil and Gas Well Drilling and Servicing ETool. Occupational Safety & Health Administration. Web. 19 Dec. 2014. <https://www.osha.gov/SLTC/etools/oilandgas/servicing/special_services.html>.